A tool to encrypt personal files is essential for each and every computer user. Some of us are using Zip or Rar techniques for this purpose. But password crackers available for such archives makes them worried. Here NanWick is introducing a solution. Encrypt your personal files with a password and store it inside an Mkv Video file. 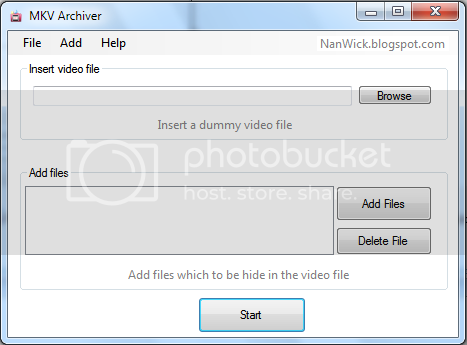 Mkv archiver will help you to create such archives. It has a user free interface and easy to use. It also helps you to extract Mkv archives. Click here to know more about How to Use this utility. It can be downloaded using following link.